WAYfinding is made up of all kinds of folks! And, we hope to become increasingly diverse. It's a big piece of the whole idea. We don't have to agree on who we know God to be to support each other in living more openhearted. In fact, we suspect diversity is vital to doing so! After graduating with an economics degree from Northwestern, Anne spent 4 years working for The Boston Consulting Group before returning to Evanston to study theology. Guess all those electives in the religion department during undergrad were telling! Since then, she’s been charting an unconventional ministry course, including helping to start Urban Village Church in Chicago before her Hoosier roots called her back. 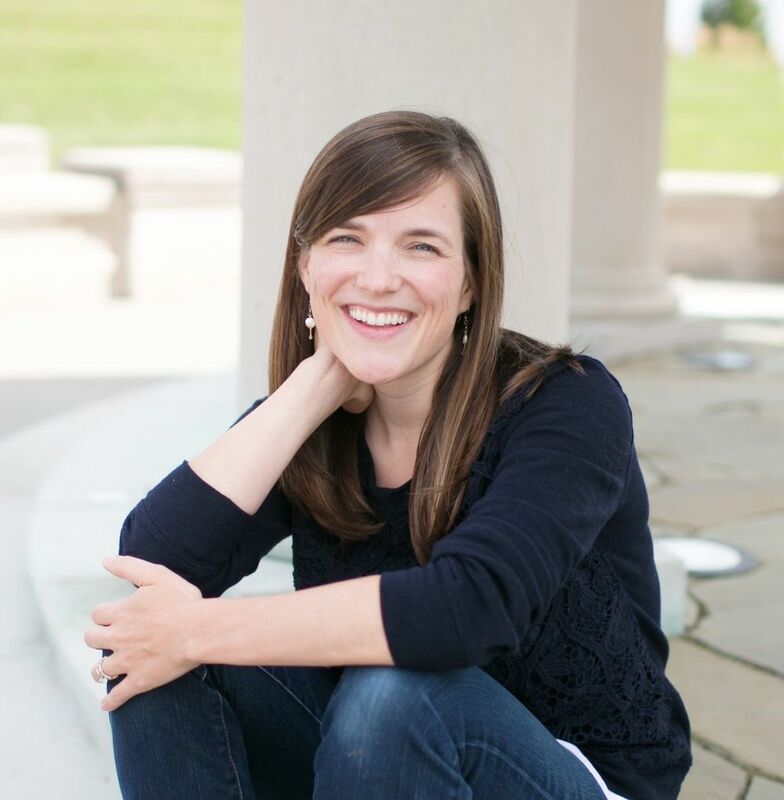 Since in Indy, she’s consulted for several local nonprofits, welcomed her first child with husband Todd, and ultimately founded WAYfinding, a ministry she loves, and feels inspired and grateful to lead. Beyond her family and WAYfinding, Anne loves walking (her favorite spiritual practice), organizing just about anything, our spectacular planet, delicious vegetarian fare, and architecture and interior design. Sean has been on the radio in Indianapolis since 2009; he's currently the morning host at B105.7. Before moving here, he lived in 7 cities in just 6 years. In those travels, he explored community in a variety of Christian traditions - from the small and evangelical, to the mega and mainline. At this point, Sean somewhat jokingly calls himself a "radical centrist," meaning he appreciates both sides of most discussions and generally finds the greatest truth to be somewhere in the middle. This is why he finds WAYfinding to be a breath of fresh air. He loves being a part of a faith community with no agenda except challenging people to explore faith and grow in love. Sean is a big time foodie, so feel free to reach out for restaurant recommendations. He lives near downtown with his rescue golden doodle, Brady. For 17 years, Leslie used her IU degree in family/child studies to serve as Director of an early childhood program in Indianapolis. After retiring from that position, her spiritual journey led her to the healing arts. She earned her reflexology certification from IUPUI and continues to explore other healing modalities. Leslie enjoys spending time with her family (especially her grandchildren), songwriting, hiking and living the simple life in a cabin in the woods of Brown County. She believes faith is a living, changing entity that should be continuously examined and questioned. WAYfinding helps her do this! Stephanie grew up attending a small Orthodox Presbyterian church on the Menomonee Indian reservation in northern Wisconsin where her dad served as an elder and her mom played the piano. Through this experience, she saw the value of being in community with others. Since leaving home, Stephanie has enjoyed learning about and experiencing different faith traditions. This is perhaps why she enjoys WAYfinding so much, in that it brings together people of different perspectives and backgrounds. Stephanie currently is an entrepreneurship professor at Butler University, and lives in Indianapolis with her husband, Ethan, and three daughters. After traversing the country from west coast to east, Ashley met her husband in Chicago and settled in Indianapolis in 2008 to raise their two children. Ashley grew up in a household where only the occasional Sunday was spent at the nondenominational church nearby. It was after taking a world religions course at UC Santa Cruz that a new curiosity for spirituality and faith was sparked. WAYfinding has been a place where Ashley can openly discuss her questions, while learning ways to introduce her children to the fascinating exploration of faith. In her free time, Ashley enjoys practicing yoga and spending time outdoors with her family.